Rapper 2 Milly said he will sue the creators of “Fortnite” for allegedly copying his dance the “Milly Rock” and selling it in the game. While 2 Milly has been the most vocal about the similarities of a “Fortnite” dance to existing work, several artists have accused the game’s creators of taking their dances without permission or pay. “Fortnite: Battle Royale” is the world’s most popular game, making more than $200 million a month selling emotes and other cosmetic items for use in game. “Fortnite” added a dancing emote called “Swipe It” to the game in July 2018 that appears to be clearly inspired by the Milly Rock. For a time, players could unlock the dance through playing or by paying cash to level up the game’s Season 5 Battle Pass, but Swipe It can no longer be acquired in-game. Players who unlocked it before can still use it though. “Fortnite: Battle Royale” is the world’s most popular game and has a massive audience that most artists can only dream of. While the game is free-to-play, the majority of its earnings come from the sale of emotes and other cosmetic items in-game. The game is currently generating more than $200 million a month in revenue and those emotes are available to more than 200 million registered players around the world, with no mention of the artists who inspired them. 2 Milly isn’t the only artist claiming that the game turned their original dance into emotes for purchase in “Fortnite” without permission or pay. 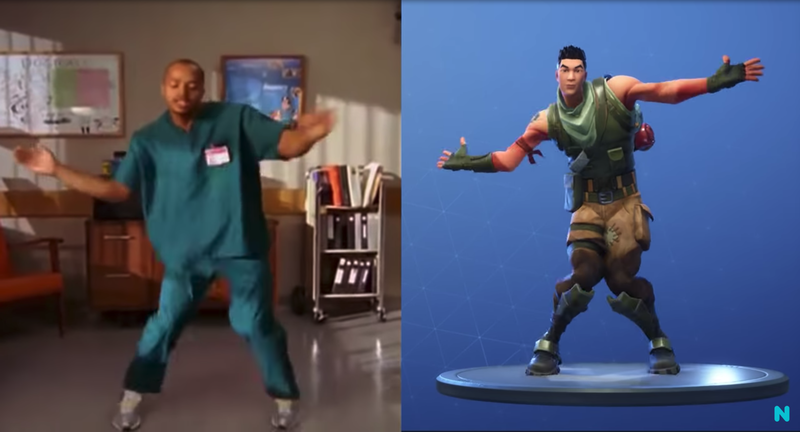 Rapper BlocBoy JB criticized the use of his “Shoot” dance in “Fortnite” and actor Donald Faison claimed that “Fortnite” lifted a dance he performed for the TV show “Scrubs” as the game’s default dance. Experts have been skeptical of whether artists can claim ownership over a dance, compared to the clear copyright laws that protect music and song lyrics, but it seems that won’t stop 2 Milly from pursuing his day in court.